Which type of dance do you prefer? there is other kind of the dance ? I love dancing and my dance prefer is GRS . wich dance your prefer or Hip Hop (Cyrielle) and GRS (Ines)? 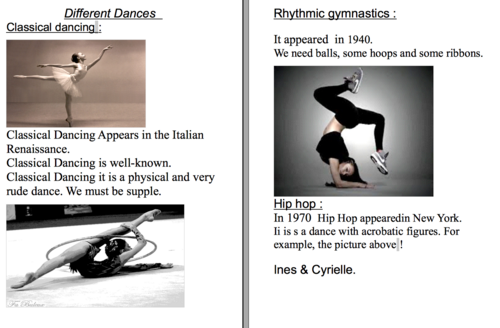 Are you do GRS (Ines) and Hip-Hop (Cyrielle)?